The US Department of Treasury announced on July 30 it would expand the sanctions against Russian and Ukrainian companies, officials and individuals, which “underscores US commitment to maintain the strength of existing sanctions and the unity of the international coalition concerned about Russia’s activities in Ukraine”. The announcement, most of which clarifies the subsidiary entities formally already sanctioned under previous decrees, came shortly after the controversial UN Security Council veto by Russia over an international tribunal investigation into the downing of the MH17 airliner in rebel-controlled East Ukraine. However, the connection to the timing of the decision has been formally denied by the US embassy in Moscow. The additional sanctions are also going to put pressure on the Central Bank of Russia (CBR), which is set to make a key interest rate decision on July 31. The CBR had been expected to continue the monetary easing to support the declining economy and cut the key interest rate by up to 50bp to 11%. Recent ruble and inflation volatility in July had many analysts changing their expectations and forecast the CBR to keep the interest rate unchanged. 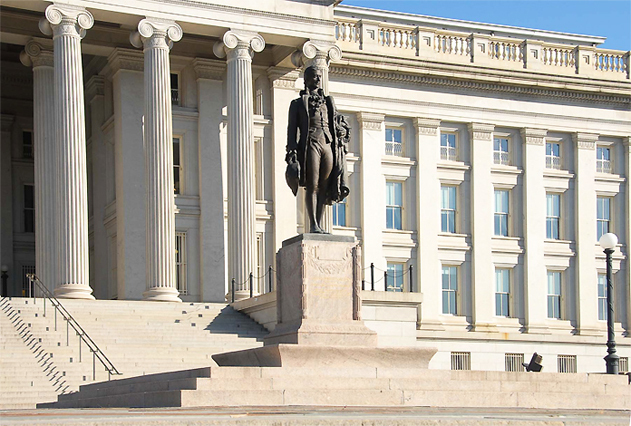 The US sanctions move has the potential to increase such volatility. The expanded measures cover 11 individuals and 15 legal entities. Most notably, the expanded sanctions include subsidiaries of two major Russian state-controlled bodies already sanctioned previously: Russia’s largest oil producer Rosneft and state development bank VneshEkonomBank (VEB). Namely, VEB Asia Limited, VEB Engineering, VEB Capital, VEB Leasing, as well as Rosneft Trade Limited, Rosneft Trading, Rosneft Finans, Vankorneft (extraction subsidiary on one of the larger fields, and YugansNefteGaz are included in the sanctions list. The press-release clarifies that the entities listed above were already subject as a matter of law to the same debt and equity financing restrictions as their parent entities per “50% rule guidance”. The identifications “will help the public more effectively comply with the sanctions on VEB and Rosneft”. The expanded sanction list also includes Globex Bank (bailed out by VEB in 2009), Ukrainian PromInvestBank, VBRR (Russian Bank of Regional Development, main shareholder Rosneft), and state investment fund Russian Fund for Direct Investment (RFPI). Crimean ports of Sevastopol and smaller ports are also included in the updated sanctions list. Most notable additions to Specially Designated Nationals List (SDN) include Roman Rotenberg, the son of the Russian businessman Boris Rotenberg; Oleksandr Yanukovich, son of former Ukrainian President Viktor Yanukovych; and Kai Paananen, a business partner of sanctioned allegedly Kremlin-affiliated billionaire Gennady Timchenko.